It's official: Dwayne Johnson is now the highest paid actor in history. According to Forbes, the wrestler turned international movie star brought in a brain-melting $124 million last year. That's nearly double the truly impressive $65 million he brought in the year prior. Johnson took to Instagram to acknowledge the achievement. Ever humble, hungry and thankful, The Rock chalks it all up to hard work. Here's what he had to say. "I work extremely hard but never anticipated (in my wildest dreams) I'd become the highest paid actor in Forbes' history. I don't have a Harvard MBA, but my business philosophy and acumen has been sharpened over time and thru failure. My goal when I was wrestling in flea markets for $40bucks per match (well before the bright lights of the @wwe) is still the exact same goal I have today, always put my audience first. I have one boss, the world. Send you home happy, and I've done my job. I'm the dude who started w/ $7bucks. I'm grateful to the bone and hungry to the core. #MakingForbesHistory #AudienceFirstPhilosophy #FleaMarketDreams #HardestWorkerInTheRoom"
Forbes has been tracking the grosses of Hollywood actors for 20 years. In that time, nobody has ever made as much as Dwayne Johnson in a single year. Part of that has to do with the fact that he's commanding insane paydays, like the $20 million guarantee he's locked down for his upcoming thriller Red Notice. The dude also works a lot and, nine times out of ten, his movies crush at the box office. The rare exception being something like Baywatch last year. Or Skyscraper, which just bombed out at the box office last weekend. Part of his hefty earnings comes from the use of social media. Dwayne Johnson has 108 million Instagram followers, 13 million Twitter followers and 58 million on Facebook. He's very active and does a lot to help promote his movies with these platforms, but that's not out of the kindness of his heart. The actor now requests a separate seven-figure paycheck to promote his movies on social media. Here's what Johnson had to say about his use of social media for marketing purposes. "Social media has become the most critical element of marketing a movie for me. I have established a social media equity with an audience around the world that there's a value in what I'm delivering to them." Dwayne Johnson famously arrived in Tampa, Florida in 1995 after being cut from the Canadian Football League with $7 in his pocket. Now, he's the most financially successful actor on the planet. That's why he named his production company Seven Bucks Productions. Things aren't showing any signs of slowing down for Johnson. 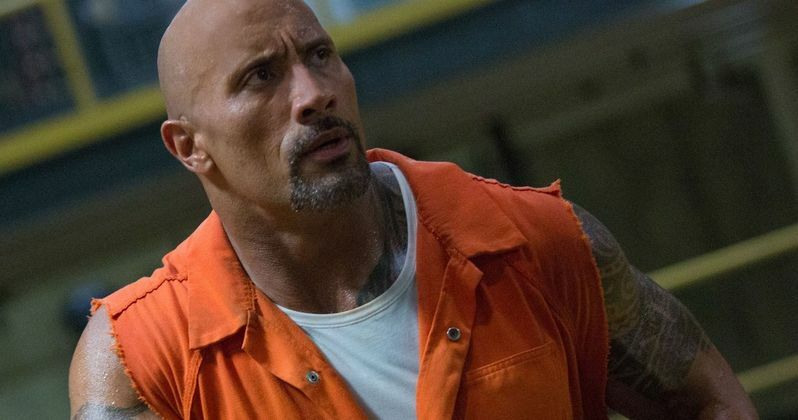 He's got Disney's The Jungle Cruise filming now, with the Fast and Furious spin-off Hobbs and Shaw coming after that. He's also got the Jumanji: Welcome to the Jungle sequel and the aforementioned Red Notice on his docket. Not to mention another season of HBO's Ballers. He's a busy, wealthy man. This news comes to us courtesy of Forbes.